If you have yet to give into peer pressure and buy online shooter Destiny 2, Bungie will let you try the game for free. Per the game’s official website, the free trial is available now on PlayStation 4, Xbox One and Windows (via Blizzard’s Battle.net). 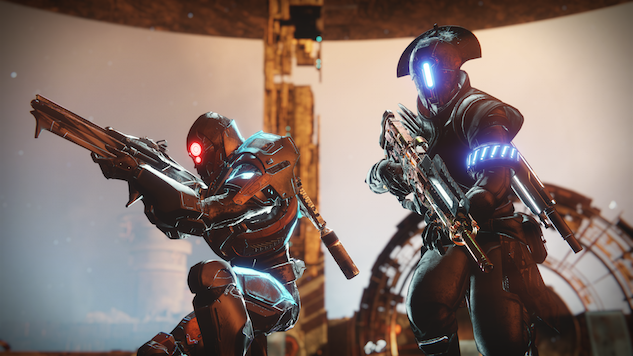 Players of the free trial can play alongside owners of the game, experiencing campaign missions in two worlds (European Dead Zone and Moon of Saturn, Titan) and competitive player-versus-player in the Crucible, though only in quick-play playlists. Free-trial players can also join clans, and should they choose to purchase the full game (after hitting a level cap of 7), all of their progress will carry over. The first Destiny 2 expansion, “Curse of Osiris,” will release Dec. 5, along with a 4K update.